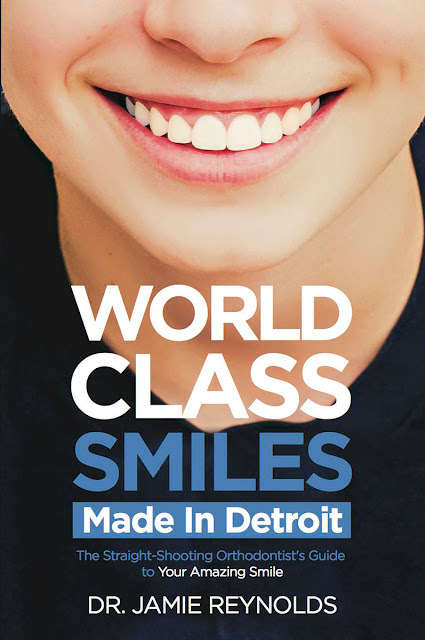 “I think parents should understand that kids are kids, and regardless of how much you manage them or micromanage them, they’re going to eat some of this stuff because we all did when we were kids,” says Dr. Jamie Reynolds (www.AskDrReynolds.com), an orthodontist, national and international lecturer and author of World Class Smiles Made in Detroit. Hard candies. Removing these from the kids’ collection may not make them happy Halloween night, but in the long run making these treats a no-no will let the braces do their job without any setbacks. Anything with a hard outer shell should be ruled out. “If you try to bite into those, you’re probably going to knock your brackets off,” Reynolds says. The sticky, chewy, gooey stuff. Candy apples, caramels, toffee and bubblegum are frequent culprits. “The sticky stuff will get wrapped around the brace, making it hard to get clean, and over time increases the risk of cavities,” Reynolds says. Also included on this list are chewable delights from fruity candy to jelly beans, gumdrops and taffy. Reynolds notes that Halloween just magnifies the larger issue parents face with their sugar-loving kids throughout the year – the potential for cavities.